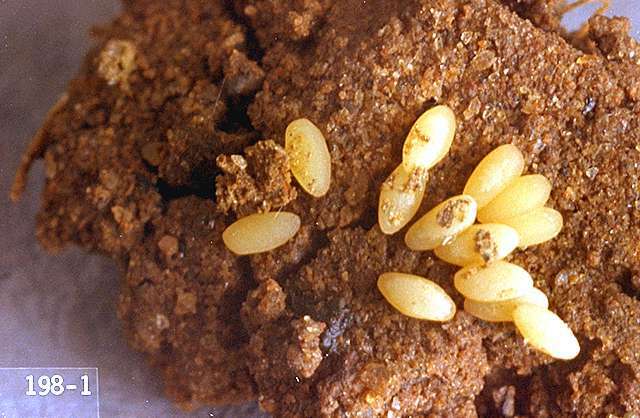 Pest description and crop damage Larvae may feed on tubers in potato fields west of the Cascade Mountains. 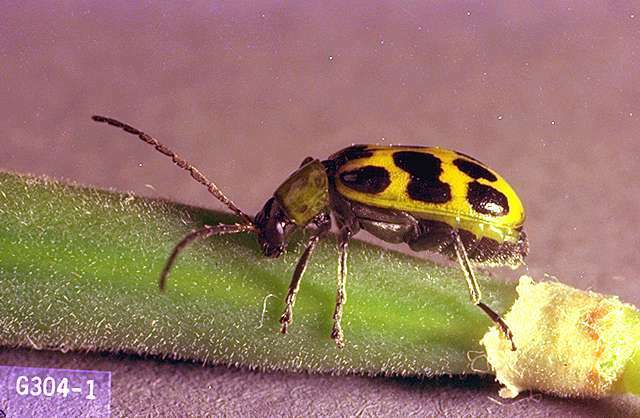 Adults are 0.33 inches long, yellowish green, with distinct black spots on the wing covers. 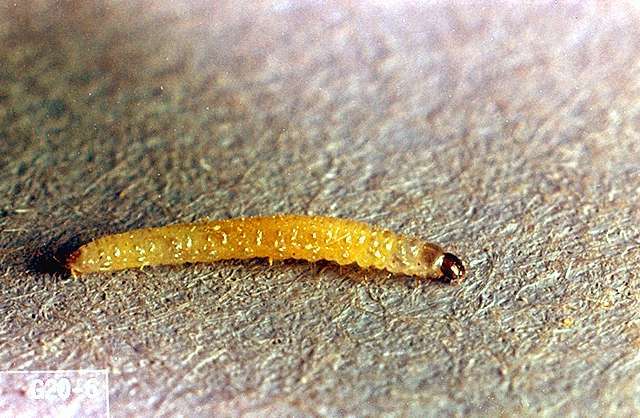 Mature larvae are about 0.33 inches long and white with brown on both ends. 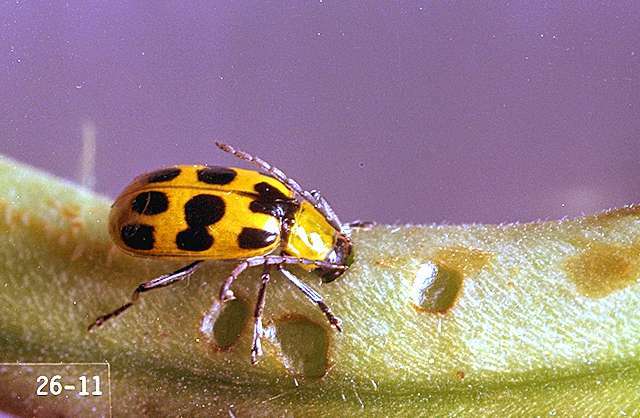 Adults feed on leaves and stems.